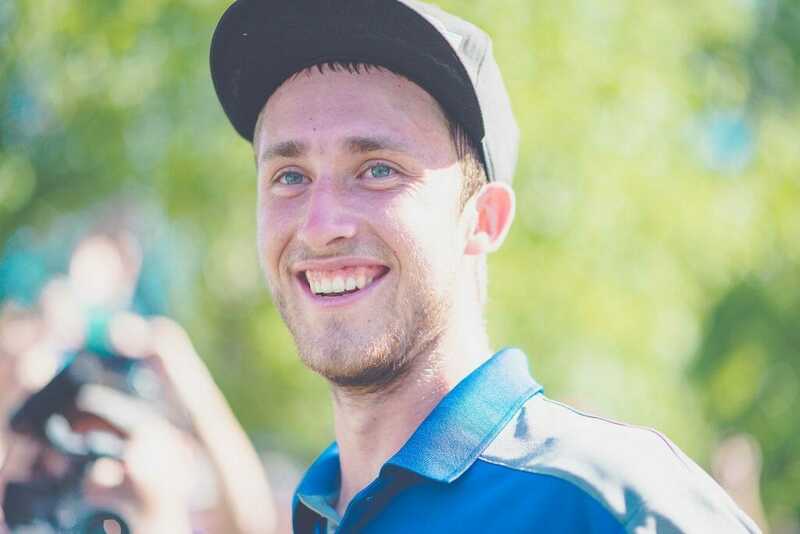 You know the story by now: 2016 was clearly the “Year of the Sockibomb,” as Ricky Wysocki consistently elevated his game to the tune of 13 victories and his first PDGA World Championship. So that means, with the offseason in full swing, it’s time to relax, right? We caught up recently with the Ohio product to find that, while he was “content” with his season, he’s nowhere near ready to rest on his laurels. Case in point: He’s got a plan for where his game needs specific improvement, as well as what he calls a proven training that he feels will help him recapture his signature momentum once 2017 kicks off. 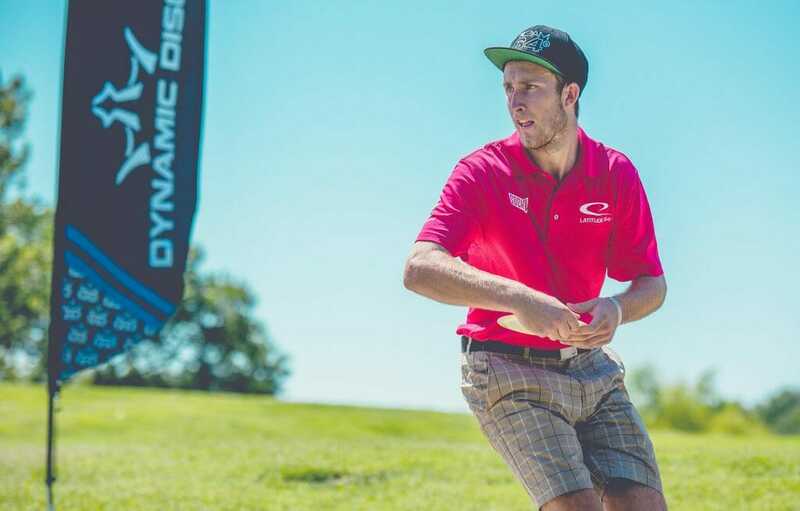 Wysocki also shared his thoughts about what players and sponsors can do to make touring life more feasible for professional disc golfers. But that doesn’t mean it’s all business. We also talked life off the course — including tossing Frisbees off the Grand Canyon – in our first Offseason Interview. Your victory at Worlds was the obvious highlight of the season, but what was your runner-up for top moment in 2016? I think the Major in Europe. It was a close battle and – I think it was the first Major of the year. That being the first Major of the year, it kinda set the tone for me and really gave me some confidence and momentum. I felt like me winning it set my confidence high. Any tournaments you wish you could have back? Yeah, I’d say Ledgestone. I think it was a combination of being exhausted mentally and physically from Worlds and still having to play because of the tour points at the Pro Tour. If you miss an event, there’s no way to really make up for it. I knew – I wouldn’t say I knew I wasn’t gonna win, I just felt like I wasn’t 100 percent mentally and physically, and I had to be OK with that, with the main goal in mind being winning the series. Has anything changed for you, personally or professionally, since winning Worlds? A little bit. For me…it’s something to where, later on in life, I’ll be able to be more excited. But right now, I’m still in the moment. I’m still in the prime of my career, so I feel like I don’t want to be content with that. Obviously I’m content – you know, I’m happy with that, but I don’t want to be just content with that one tournament. I’m still focused and I’m in the prime of my career right now, so I’m gonna take advantage and win tournaments and win as many as I can while I can. Obviously I’m happy, but right now I don’t have time to think about the past. I’m just worried about the present. I feel like when I’m older and out of my prime, that’s when I can think about recapping my career [laughs]. You’re known as being a little more quiet, or maybe less outspoken, than some other top players. Will we see you come out of your shell more now that the Worlds monkey is off your back? [Laughs] Uh, well I think that’s just my personality and how I like to play. It’s been working for me, so there’s no reason to change it. That’s my style, and so just because I won a Worlds, that’s not gonna change anything I do. So to answer your question, no, I’m not gonna change much. I’m just gonna keep doing what I do – as long as it’s working, that’s what I’m gonna do. I’m gonna change something if I need to, but right now I feel like I don’t need to. You’ve worked over time to improve your backhand, and your putting game is deadly. Is there anything you want to add – or feel like you need to add – to your game next season? Yeah, I feel like my fairway backhand shots. I feel like – I’m not terrible at it, but I’m not as good as I’d like to be. So 350 to 400-foot fairway driver shots is one of my downfalls, so I’m definitely working on that this offseason and really getting that dialed in. I feel like if I do, I will be that much more confident, physically, in the next season and that will give me another step up from where I was this year. I know you talk about momentum a lot. The offseason is the ultimate momentum killer. What do you have to do to pick it back up next year? For me, it’s just gonna be coming out at the firs tournament – and I think it’s Vegas, right? Vegas is the first NT? – so it’s gonna be being fully prepared and feeling confident in that way. Like you said, I always talk about momentum, so I’m really gonna have to come out and focus a lot to get my momentum high and keep the momentum rolling early…I’m looking forward to coming out strong and really setting the tone in the first tournament, so that way I can carry it on for the season to come. 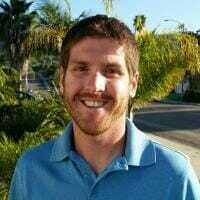 If there was one thing you could change about professional disc golf, what would it be? That’s a good question. Let’s see [long pause]. I’m trying to think of the word for it, but I feel like there’s a word for the fact that I want – I feel like everyone should come together, as opposed to doing their own little thing. Not just tournaments, but in general: players, sponsors. I feel like there’s a way we can all unite to grow the sport together instead of breaking off into our own little cliques. I know it’s hard to do, but I feel like if we could, that would be a big step in the right direction. Have you ever thought about talking to other players to spearhead that kind of cooperation? Yeah, that’s the thing: It’s easier said than done. It sounds good on paper, but when it comes down to it people have their reasons why they don’t want to do stuff with certain people. I feel like, if there was possibly a way to overcome it, it would be that much better for the sport. What would come of that? What do you think needs to be done to get the sport to where top players are making more money and it’s more of a viable lifestyle? I think you just said it. It’s not all about the money, but that would be a lot to do with it, because everyone’s so stressed out about making it to the next tournament, making enough money to go to the next event. I think if people were a little more relaxed and they weren’t so uptight about the money and they were out there playing – doing what we all love and getting paid enough to where we don’t have to worry about being up each other’s butts about certain things – I think that would make a big difference for a lot of the tour to be able to live more comfortably and make for a better tour in general. How do you see that happening? Is that financial growth realistic? I think it’s totally realistic. I think it’s gonna happen within the next five years I’d say. Just from seeing what kind of tournament directors we have in the game, and the tour directors we’ve got, we’re going in the right direction. Right now we’ve got a few different tours, but I think that’s just a sign of growth for our sport. And we’re able to sustain both of the tours. We have enough players, we have enough spectators, and I think it’s just gonna grow from here. The fact that we can sustain these tours [is a positive], and hopefully we can find a way to better them and really work our way up from there. OK, onto lighter fare. What’s one thing that people would be surprised to learn about you that they didn’t already know? Let’s see here, that’s a good question. [Long pause] Let’s see. I’m a fisherman, I like to fish a lot. What else? I’m trying to think of something that people don’t know. I could probably say stuff that people already know about me, but I’m trying to think of unique stuff. I’m really good at all the weird games, like ping pong, and darts – all the different odd games. Corn hole. I’m the king on tour of all the weird games people have never heard of, like corn hole and hillbilly golf and all that stuff. It’s like two golf balls on a string and you throw it at a ladder. Oh ladder ball! We call it ladder ball on the West Coast. Yeah, ladder golf, or hillbilly golf or whatever people call it. All the ping pong and all these weird games, everyone is always like, wow, he’s doing all of them. In your eyes, who is one up and coming player to keep an eye on? That’s a good one too. I’d say Izak McDonald, he’s a good one. I think Rebecca Cox – nobody’s ever heard of her, she’s from Ohio. It looks like she’s gonna tour this year and I think she could really surprise some people in the women’s field. What’s your favorite thing to do on the road besides compete in tournaments? We play mini golf, we play basketball. Sometimes we’ll go out to local bars, but we’re not drinking. We’re playing darts and ping pong and all these different games. We’re always looking for cool games to play with each other, always battling each other. Me an Uli [Paul Ulibarri] are the battlers of all these weird games. I usually get him, but he thinks he’s good. He thinks he’s awesome [laughs]. Do you guys ever do any actual sightseeing? I went to the Grand Canyon this year for the first time. I’ve always been in Arizona and I finally went to the Grand Canyon. It was epic. They won’t let you throw any discs across it though, right? I didn’t throw across it, but I threw a sacrificial disc, which was pretty sweet. Do you remember what you threw? It was just an old crappy disc, I forget what it was. 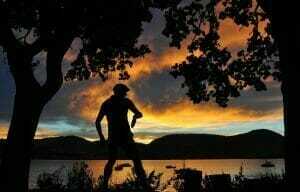 It was a crapper disc, but it was fun. You could see it fly for what felt like five minutes. It never hit the ground, it was crazy. Grand Canyon was cool. We always try to go to cool swimming holes. We’ll ask some locals about some cool swimming spots where you can jump in off, like, a 10 or 15-foot cliff jump. We’re not doing 50 footers, but we’re doing 20 footers, just having fun. Last question: Any big offseason plans? What’s your training look like? I’m going to Australia. It’s the first Major of the year, which is kind of in the middle of the offseason this year – it’s in the middle of January. So I’m going to Australia, which is really sweet…I’m even more excited this time. If you enjoyed this article, consider supporting all of Ultiworld’s coverage by purchasing a video subscription or contributing to our tip jar.